Earlier this week, I mentioned how the Box Tops for Education™ program benefits our family and our school. We are a Box Top-collecting bunch! 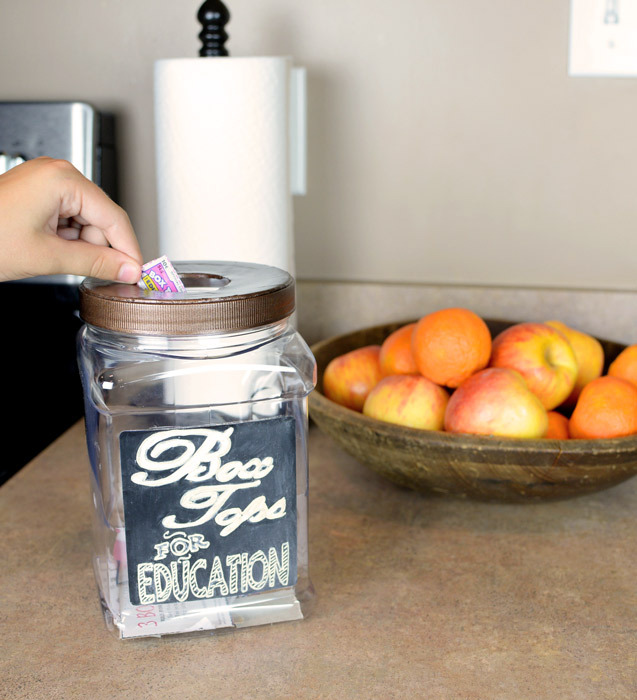 Today I wanted to share a crafty idea for creating a Box Tops collection bin for your home or child’s classroom. 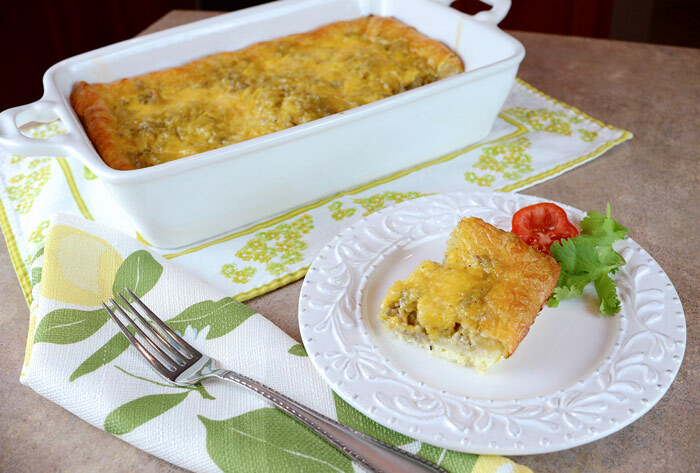 I’m also including a recipe for my all-time-favorite breakfast casserole. 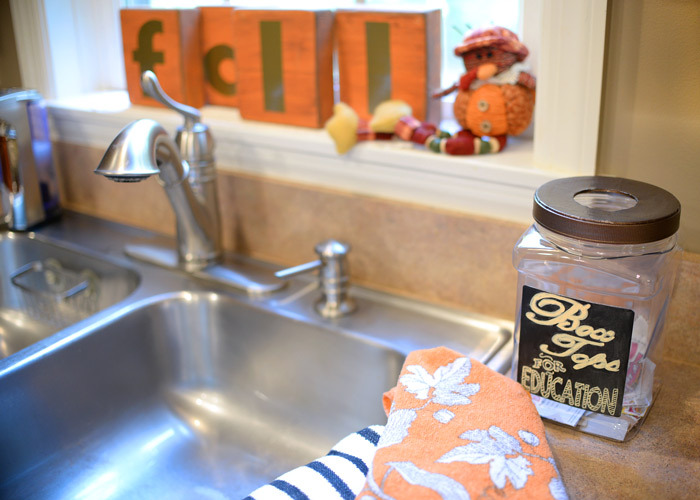 I made this countertop-worthy Box Tops bin yesterday using a canister I bought at Walmart for $1.97 – plus a few materials from around the house. 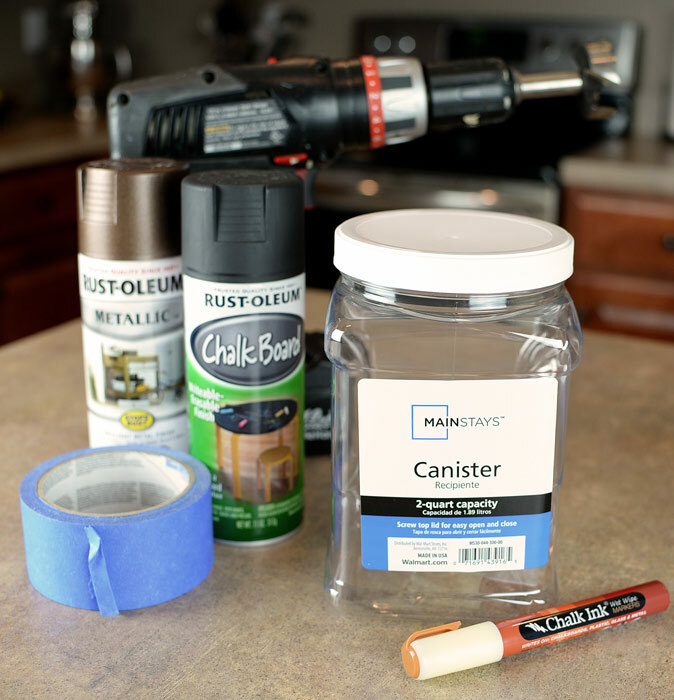 Step 1: Remove the label from the front of the canister. 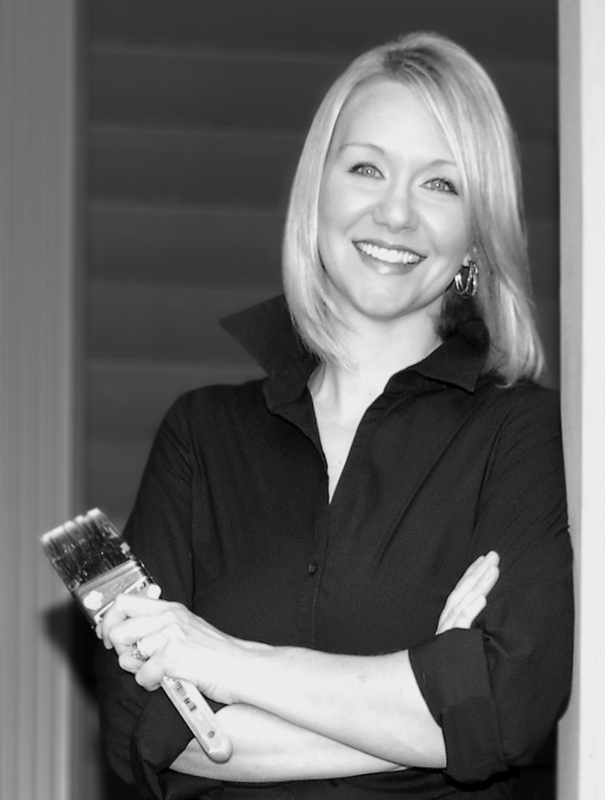 Place it on a sheet of plastic and spray it with a coat of chalkboard paint. 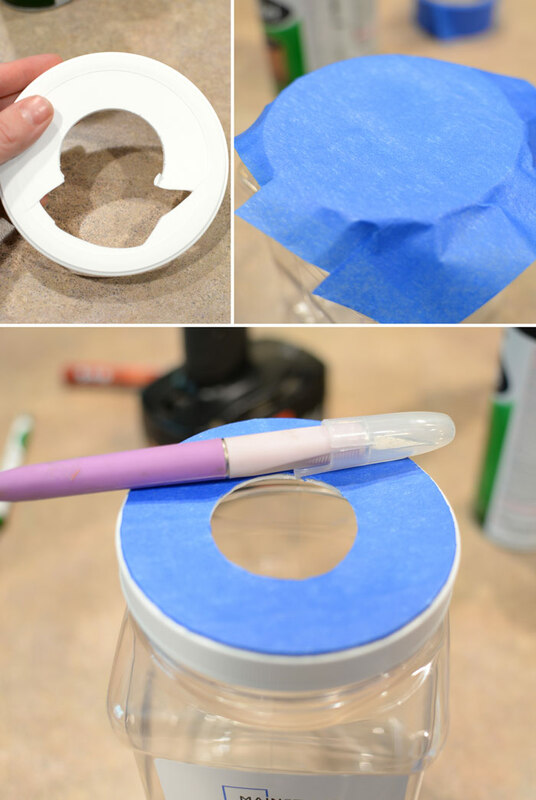 After it dries, stick the label back on the canister. Step 2: Drill a hole in the canister top. 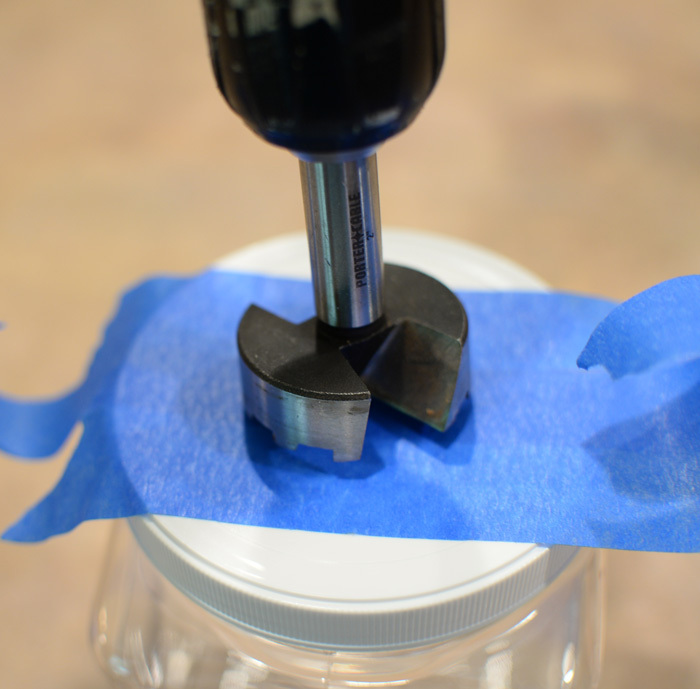 Painter’s tape may help keep the plastic from cracking. I had the misfortune of damaging the lid during this step. So I applied a few coats of painter’s tape and cut out a hole in the tape using a craft knife. If you want to avoid the chance of breaking the plastic top, you can skip the hole-drilling step. 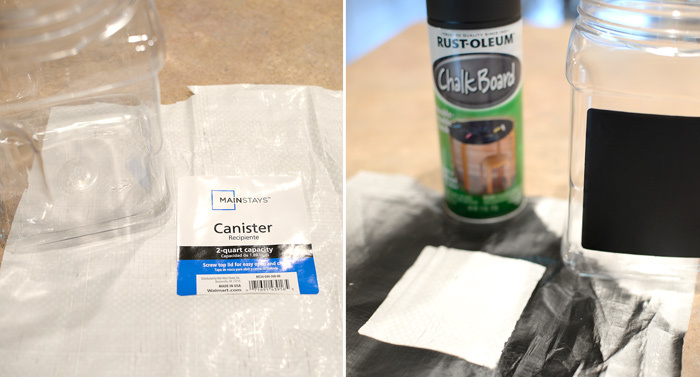 Step 3: Spray the plastic lid with a few coats of your favorite metallic spray paint. 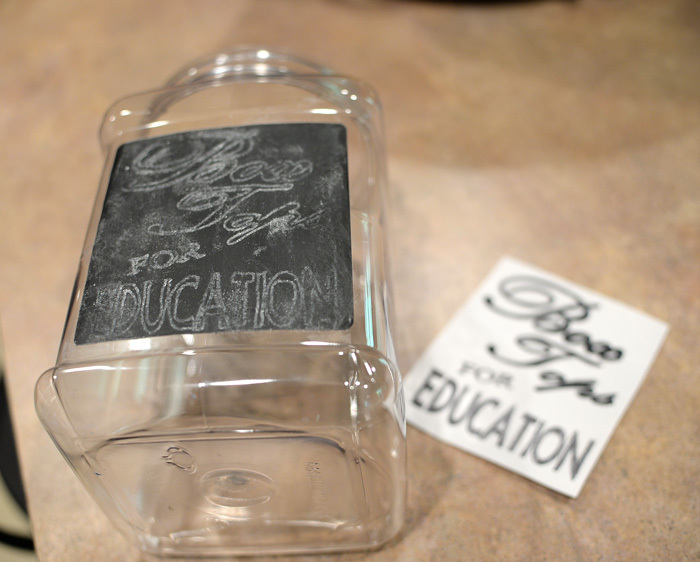 Step 4: While the lid dries, print out the words for the chalkboard label on regular printer paper. Then use my chalkboard transfer method to create a carbon copy of the words on the label. Step 5: Fill in the chalk outline with a chalkboard marker. Done! 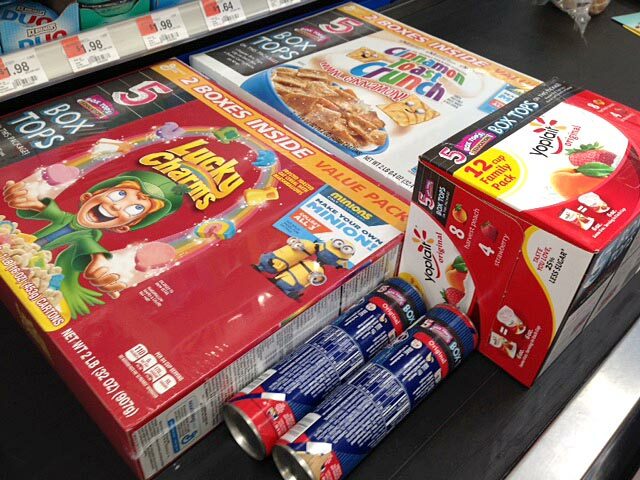 To help fill up your new Box Tops bin, consider purchasing participating products at Walmart. Right now, Walmart has Bonus Box Tops available on select General Mills® products. 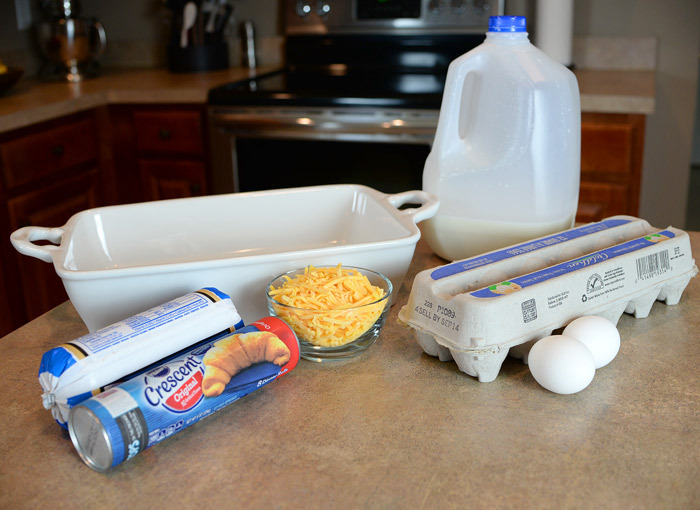 I made my favorite breakfast casserole using Pillsbury™ Crescent Rolls. A total of five Box Tops are included on each package right now! Preheat oven to 350 degrees. Grease the bottom of a 9×13-inch pan. Spread the crescent rolls on the bottom. After frying the sausage, sprinkle it on top of the rolls. Mix up the eggs and milk (I salt and pepper this mixture), then pour it over the sausage and rolls. Sprinkle cheese on top. Bake for about 35 minutes or until eggs look done. Enjoy! Does your family collect Box Tops for Education? Learn more about Box Tops at Walmart here.